Thank you for all the prayers and love for my family (especially my father) this week. I think Aunt Faye would have smiled on us today. Her children did her proud, as did her grandchildren. My Uncle Jack is, of course, heartbroken. He was devoted to her, and they were rarely ever apart. As we were looking at the pictures on the slideshow the funeral home put together, a picture flashed up that I estimated to be at least 20 years old. Uncle Jack said, “She didn’t look like that.” Someone who didn’t know them might think that he was making an uncharitable comment on an aging woman, but he continued, telling us that the last 3 months of illness had taken a toll on her. I realized that when he looked at my Aunt Faye in her 60s and 70s, he still saw the beautiful young woman he married. It truly touched me. She really never did look her age, and I wonder how much it had to do with how her bridegroom always saw her. 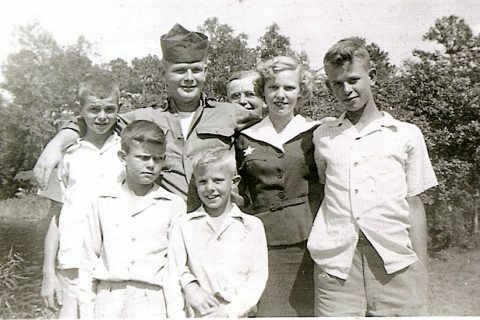 My father was the fifth of six siblings. Aunt Faye was the second, and she was the only girl. Therefore, she was my only Kinney-born aunt. 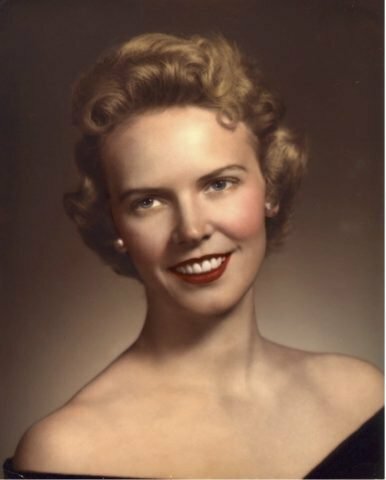 I lost my grandmother Kinney when I was 13, and she was my only female connection to my grandmother. Maybe you have to be a girl to understand this, I don’t know. My dad can tell me a lot about his mother, but not from the same perspective as my aunt. There were so many things I feel like I missed after my grandmother died, and Aunt Faye filled the gap. Now I’m the Kinney aunt to a niece and three nephews, and I’ve often thought of her in that relationship. I didn’t live close enough to Aunt Faye to see her often, but sometimes I think I hang on so tightly to my niece because of how I felt about Aunt Faye. 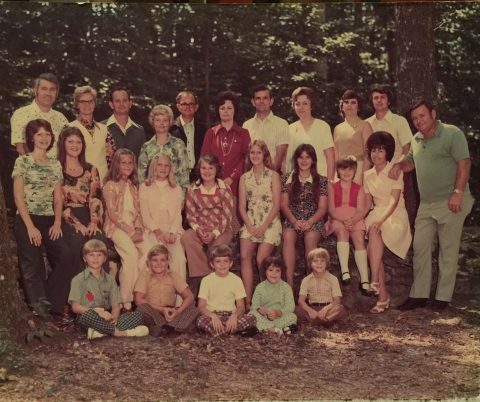 There were 13 grandchildren in the family. All but 2 of her nieces and nephews were there (and those 2 would have been there if they’d been able) and quite a few of her great nieces and nephews, too. Two of my cousins drove from Dothan, Alabama to be there. In fact, don’t think any of us drove less than 2 hours to get there. It was probably the biggest gathering of us in a long time, even though we attempt to all get together every September. You can imagine how difficult that is; there are more than 50 of us if you don’t count grandkids’ spouses, great-grandchildren, bonus children, etc. But even when we don’t see each other yearly, we keep in touch with each other. We love each other. My grandparents would be very proud of that. It was good to see my family today. We were heartbroken, but we laughed because that’s what our family does. We enjoy each other. I love you, Aunt Faye. I’ll say it again when I see you again. What a wonderful tribute. God bless you, Leanne.